Foldable displays are here and foldable panels in consumer electronics finally look right around the corner. To be perfectly frank, the wait has been excruciatingly long for anybody that boarded the original flexible "hype train" a good few years ago. But, of course, we understand that such major advancements take time to iron out. And we're not just talking about making the tech consumer viable, even at what will likely be exuberant initial price tags. There are plenty of technical and practical aspects to work through. Some, highly complex. While others more apparent from an end-user standpoint. Like, how much "folds" will a panel take? How will it look and behave while folded? What about while unfolded? Will it be indistinguishable from a flat panel? Also, how will a hinge design even look and feel to facilitate a fold? Clearly there are still a lot of aspects to discuss on the topic, which means even more waiting around. 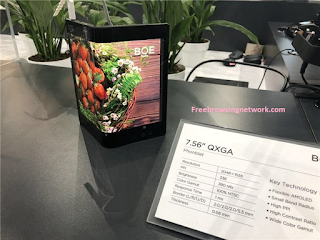 However, demos like the one crafted by major panel manufacturer BOE do offer a rare glimpse into some practical, real-world aspects of the technology and what we can expect. 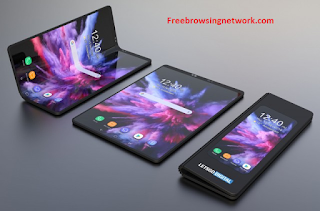 First, the specs: What you are looking at here is a prototype AMOLED panel, with a diagonal of 7.65 inches and a WQHD resolution of 2048 x 1536 pixels. Other key features include a maximum advertised brightness of 380 nits, response times as low as 1ms and a color gamut as high as 118% on the NTSC scale. However, non of this is actually impressive or unseen on an OLED. The really interesting part is the central fold. BOE claims that their particular tech allows for the world's smallest dynamic bend radius of just 1mm. Now, we can't really say whether the test unit from the video demonstrates this to its full capacity, but form what we can gather, the particular mechanism appears to be able to fold onto itself quite flush and neat. This is actually an often overlooked, but quite aesthetically important aspect of foldable displays, since nobody wants to end up with an unshapely big bend like the one in the above render or similar to the infamous hinge design of Microsoft's Surface Book line of laptops. Other interesting practical aspects the BOE demo offers a glimpse into include durability. The advertised number of 100,000 bends might sound like a little, but it actually instils quite a bit of confidence in us that is should outlive the average lifespan of the rest of a high-tech consumer electronic device. On the flip side of things, looking at the video in detail clearly shows quite a bit of residual "flex" in the panel while unfolded. Now, this might be due to a number of factors that could be addressed. Then again, from what we have seen thus far, it does appear that at least in these early stages foldable displays will suffer from picture degradation of at least some sort in the fold regions. But, we digress. We'll just leave it at that, but be sure to tell us your take on the current state of foldable display tech. Are you excited for the possibilities or more sceptical due to potential limitations? Comment on "Tech News - BOE demos foldable display with impressively small bend radius"